Human skin can experience a lot of wear and tear over the years, especially on the face. The environment, sun, dirt, cosmetics, and facial expressions all contribute to the damage that becomes visible on the outer layer. The result is a dull, unhealthy appearance in need of skin rejuvenation. 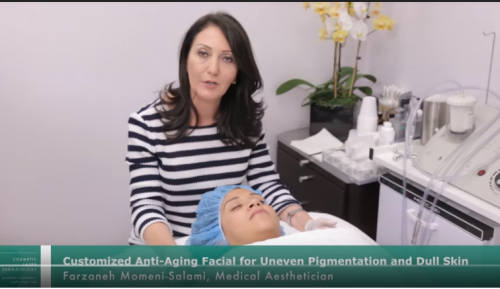 For expert skin care and personalized treatment from our board-certified dermatologists and our esteemed medical aesthetician Farzaneh Momeni-Salami, schedule an appointment at Cosmetic Laser Dermatology in San Diego. Don’t forget to check out our skin care specials to take advantage of our premium chemical peel treatments. A chemical peel treatment typically involves the application of a solution to the skin that will remove dead skin cells, which allows the next layer of skin to develop and replace the old layer. The result is tightened, radiant skin with reduced wrinkles. Superficial chemical peels – do not penetrate below the epidermis, the outermost layer of skin. Medium chemical peels – penetrate below the epidermis to the top layer of the dermis, but generally does not go deeper. Deep chemical peels – penetrate to the deepest layers of the dermis. The depth of penetration depends on the type and strength of the solution and the amount of time the solution interacts with the skin. Chemical peels are safe and effective enough for nearly any part of the body, though the areas that respond best are the face, neck, and hands. The chest, arms, and legs can also be treated, but the results are not always consistent. 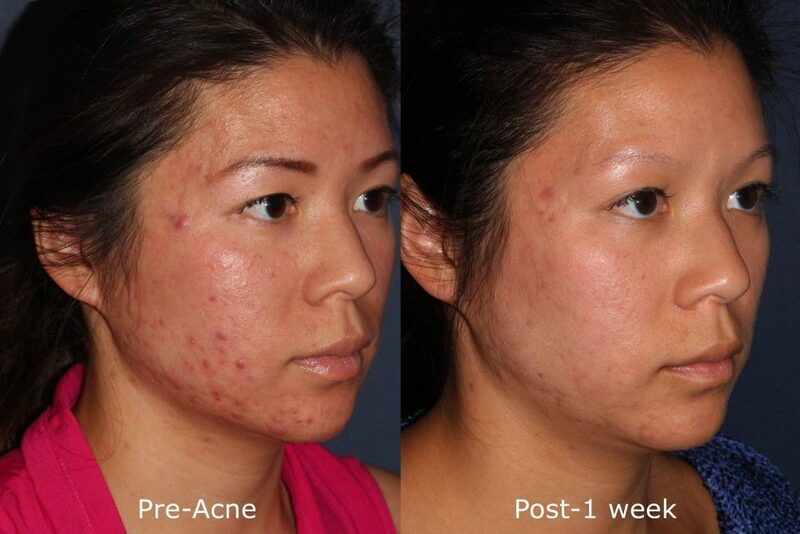 This pre-treatment routine is key. It helps the skin heal more evenly and reduces the risks of infection, unusual skin color changes, and more. First, a solvent such as acetone or alcohol is applied to the area of the skin to be treated. Next, the chemical peeling solution is applied, remaining on the skin for the amount of time necessary to get the desired results. Once it is finished, a neutralizing agent is applied. Depending on the type of chemical peel, the treated area may be bandaged, and the patient can go home. A superficial chemical peel requires no downtime or recovery. During post-treatment, patients should experience no more than slight discomfort and the skin could turn pink. Expect only a minimal amount of peeling. A series of 2-3 peels spaced 2-4 weeks apart will gently separate the skin cells in the damaged outer layer so they painlessly slough off for fresh smooth skin beneath. A medium chemical peel often results in 2-3 days downtime and a longer overall recovery as the treated skin sloughs off and the new skin grows and heals. After a week, the skin should be healed enough for makeup. Patients can expect redness and swelling post-treatment, although usually not much discomfort. After 2-3 days, the skin goes reddish-brown, hardens, and then flakes and peels for several more days. A deep chemical peel can require 1-2 weeks of downtime and recovery. It takes about two weeks for the skin to grow back and it will be very red for about a month. 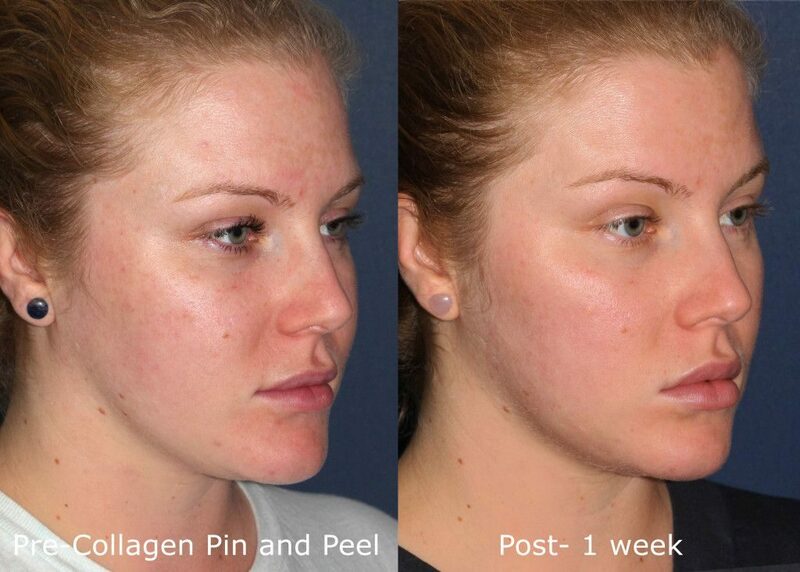 Post-treatment care is important after a deep peel because of the increased risk of infection. A: A chemical peel treatment can be customized according to each patient’s needs. Our skilled aesthetician Farzaneh performs all of our peels at our San Diego practice, so she has the experience and knowledge necessary to determine the right type of solution, the appropriate strength, and the right amount of treatment time to achieve the following results: smoother skin, fewer fine lines and wrinkles, restored skin balance, reduced appearance of superficial acne scars and overall skin rejuvenation. Visit our Before & After Photo Gallery to see the real results of our customized aesthetic treatments. Q: Who Should Avoid Cosmetic Peels? A: Chemical peels are not for everyone. This treatment is not recommended for patients who are: pregnant or nursing, have an active skin disease (rosacea, eczema, psoriasis, or dermatitis), broken or sunburned skin, or use certain prescription skin care products (Retin-A, Renova, etc. ), Additionally, patients with a pale and freckled or dark complexion, abnormal pigmentation or a history of cold sores may not have consistent results. At Cosmetic Laser Dermatology in San Diego, we typically combine a chemical peel with one or more aesthetic treatments to enhance your results or treat particularly troublesome conditions. One such combination treatment includes DermaSweep, a microdermabrasion device specially designed to correct fine lines and wrinkles, acne scarring, and lax skin. With Farzaneh as your aesthetician, the treatment is customized to fit your needs and deliver soft, smooth skin. Microdermabrasion is a great alternative for patients looking for great results with less downtime. Farzaneh also administers chemical peels in combination with facials, a procedure often necessary when previous procedures haven’t improved stubborn wrinkles, blocked pores, or dull skin tone. A combination chemical peel/facial can provide amazing, rejuvenating results with almost no downtime.